Many people in North Carolina do not consider getting a traffic ticket very serious. They may simply take advantage of the option of paying the ticket in advance to avoid attending a court hearing. This is easy to do in North Carolina as it has an automated system to pay ticket fines via the Internet. However, what people may not realize is that they are pleading guilty to a traffic offense that could have serious consequences on their lives beyond just paying the fines associated with the ticket. This can include points on their driving record, increased insurance rates, and possible suspension or revocation of their driver’s license. Speeding. In North Carolina, it is a violation of the law to drive at a speed that exceeds what a reasonably prudent person would drive at given the current situation. In addition, North Carolina has an “absolute” speed limit law, which means that you could be guilty of speeding by going even one mile over the posted speed limit. You could face a fine of between $100 and $1,000, jail time for a maximum of 60 days, and have your driver’s license suspended for up to one year. Speeding can also add three points on your driving record. Reckless driving. You could be charged with reckless driving for “carelessly or heedlessly in a willful or wanton disregard of the rights or safety of others” or driving at a speed that could endanger other people or property. In addition, if you are caught driving at least 15 mph over the speed limit that is less than 55 mph, you could be charged with reckless driving. As the speed limit increase, you risk a reckless driving offense for going at a much lesser speed over the posted speed limit. A conviction would be a Class 2 misdemeanor, which would mean that you would have a permanent criminal record. 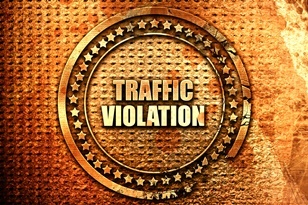 The penalties could include up to 60 days in jail, a fine not to exceed $1,000, and four points on your driving record. Hit and run driver. It is illegal in North Carolina to fail to stop at the scene of an accident. You can be charged with many different offenses, such as failing to contact the police, failing to provide information, failing to stop, and failing to provide assistance. Depending on what you are convicted of, you could face a misdemeanor or felony conviction. Penalties could include a jail or prison sentence, fines—potentially large for a felony conviction—and 4 to 12 points on your driving record. Driving on a suspended or revoked license. Your driver’s license could be suspended or revoked in North Carolina for many reasons—including having too many traffic offense points on your driver’s record. It is a serious offense to continue driving when your license has been revoked or suspended. You could be convicted of a misdemeanor with a possible jail sentence not to exceed 120 days. In addition, your driver’s license could be suspended for one or more years or even permanently depending on how many times you have been convicted of this offense. Once you are convicted of a traffic offense, the court notifies the North Carolina Department of Transportation so that points are added onto your driving record, if applicable. In addition, the Safe Driver Incentive Plan will give you insurance points. Depending on how many insurance points you have, your vehicle insurance premiums can increase between 25 percent and 400 percent. It is not in your best interests to just pay a traffic ticket given the potential harsh consequences both in terms of the penalty you face for this offense and the long-term consequences on your driving privileges, your criminal record, and your insurance rates. You should at least first consult with an experienced traffic law attorney. At Browning & Long, PLLC, we can explain your possible outcomes to you, investigate your ticket or other offense, and help you to avoid the negative consequences you face. Call our office today to schedule your free case analysis. Can My NC Driver’s License Be Revoked for Speeding?